We are currently recruiting volunteers for subcommittee work on files such as education & professional development, including monthly workshops, the Maritime Fundraising Conference, and the 2018 Philanthropy Awards. 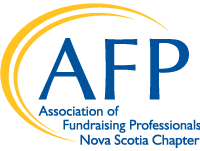 AFP Nova Scotia welcomes you to attend any of our monthly Board meetings. Please visit our events calendar for our upcoming meeting schedule.